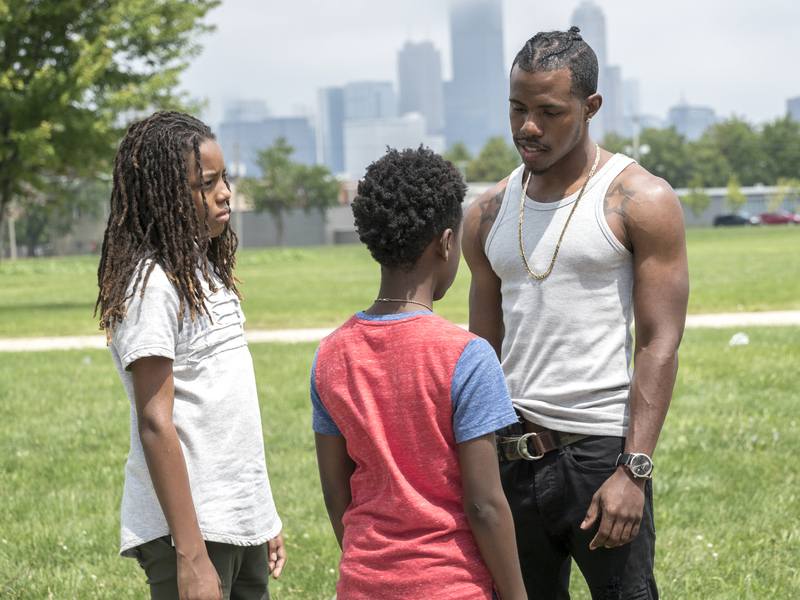 Between McQueen’s new film and “The Chi,” Lena Waithe’s award-winning Showtime drama, the Windy City is having a moment. Both utilize the city’s history and personality in ways that speak directly to its struggles and distinctions, and remind us just how relevant Chicago is to the country and beyond. A British miniseries adapted by a London-born director doesn’t seem like an obvious vessel for portraying Chicago’s political and racial divisions. But McQueen first came to the city in 1996, when Chicago’s Museum of Contemporary Art displayed his video installation “Five Easy Pieces.” At the same time, his future wife Bianca Stigter covered the 1996 Democratic National Convention as a reporter, “so my very first footprint in Chicago has always been art and politics — always,” he said. McQueen immediately noticed the city’s “odd” racial divide, and Chicago remains one of the country’s most segregated cities. 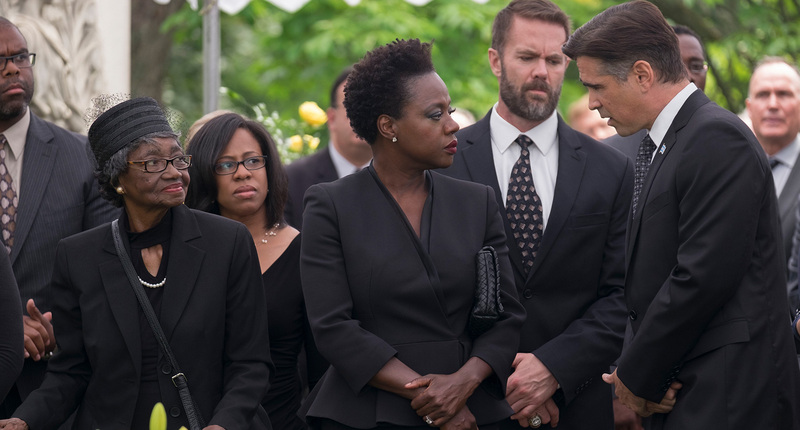 “Widows” exemplifies that separation through its women: Veronica (Viola Davis) is a wealthy philanthropist suffering from great losses; Linda (Michelle Rodriguez) is a struggling small business owner; Alice (Elizabeth Debicki) is an abused Polish immigrant, and Belle (Cynthia Erivo) works multiple jobs on the South Side to support her kid. Despite being tied together by their husbands and the city they share, the characters never met until circumstance forced their hands. Still, the most striking visualization of Chicago’s segregation is shown in real time during a car ride, as McQueen’s camera moves from a poverty-stricken campaign stop to the luxurious headquarters and home of a prospective city alderman. Captured in one, uninterrupted long take, the audience listens to Jack Mulligan (Colin Farrell) scream at his assistant Siobhan (Molly Kunz) while they watch the neighborhood change outside the car. “What [was important] for me was seeing that landscape shift, from a sort of vacant lot in a decrepit area populated by black people, into a much more leafy, upper-middle-class, if not upper-class, neighborhood. And it was real. That happens in Chicago. It’s crazy,” McQueen said. Flynn said they both did “tons” of research and spoke to everyone from local community leaders and cops to the FBI and a professor who helped get Laquan McDonald’s videotape released. Through it all, Flynn remembered McQueen getting hung up on an important local colloquialism. That attitude helped the writers understand Chicago’s ingrained corruption. The film’s central political family, the Mulligans, is modeled in part after the Daleys, a Chicago political dynasty from the early ’80s through today. Richard J. Daley (1955 – 1976) and his son, Richard M. Daley (1989 – 2011), served as mayor for more than four decades combined. They become infamous for taking care of their own at great cost to the rest of Chicago, nearly bankrupting the city. Another distinctly American problem is gun violence, which has reached “epidemic” levels in Chicago. 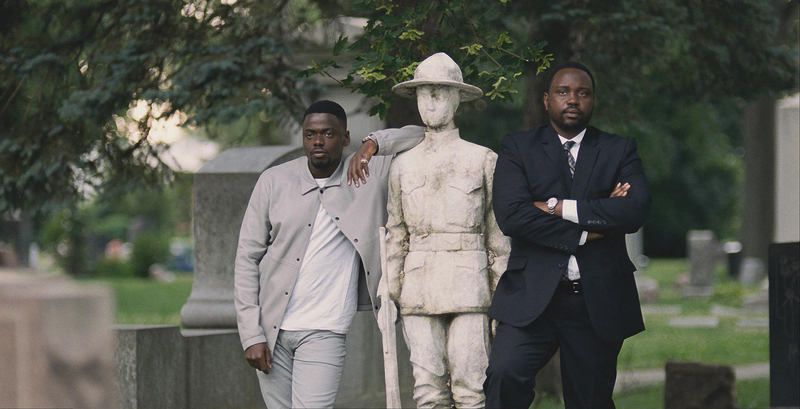 McQueen examines it to frightening extremes through Jamal Manning (Brian Tyree Henry) and his brother Jatemme (Daniel Kaluuya), two gang members who challenge the Mulligans for the alderman seat. While America regularly reels from mass shootings, Chicago is still trying to correct an unprecedented spike in gun violence. Multiple reports have linked Chicago’s racial segregation and income inequality to the violence in its poverty-stricken neighborhoods, and political corruption lies at the root of both issues. “Widows” manages to incorporate all of these topics into a thriller ostensibly about a heist. But if “Widows” focuses on the darkness, then “The Chi” strives to find the light. Created by Lena Waithe, “The Chi” features an expansive, predominantly black cast and focusing on how a fateful tragedy affects the surrounding community. However, Waithe didn’t want the show to be another sad story about poverty, pain, and oppression. Waithe contends that a lot of Chicago-set TV shows and movies are told from an outsiders’ perspective. Amidst the divisions, corruption, and violence, Waithe sees people going about their lives. Just as it’s important for the people of Chicago to have a voice outside the city’s issues, Waithe said it means a lot to show real locations on screen. She hires directors who are eager to seek out new spots in Chicago, especially in neighborhoods that might intimidate.